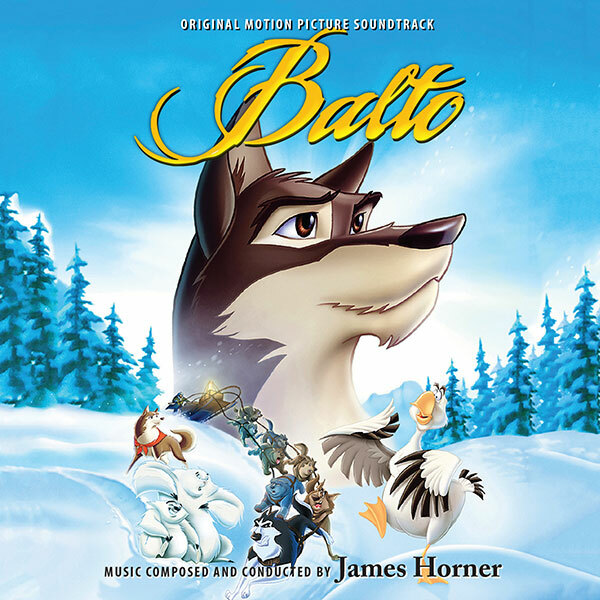 Intrada announces its latest release from the canon of James Horner – the 1995 Universal Pictures and Amblin Entertainment animated feature, Balto. Balto was one of three animated films Horner scored for Steven Spielberg's Amblimation, the prior two being An American Tail: Fievel Goes West and We're Back! A Dinosaur's Story. Just as Spielberg endowed his animated features with grand cinematic qualities, so too did Horner score them with a broad symphonic sweep, writing in large musical paragraphs to enhance the films’ scope. Here the composer weaves just one principal theme throughout his score — a theme that proves remarkably malleable. But Horner treats it to so many variations involving pitch, rhythm, color and harmony that it is only with careful listening that one becomes aware of how pervasive it is. Animated films represent a relatively small portion of James Horner’s film score output (he scored 8 such projects), but reveal a large portion of his generous heart. His music for Balto engages our minds with its craft and captivates our hearts with its artistry, performed by the composer-led London Symphony Orchestra who brings Horner’s work to vibrant life. At the time of the film's release, MCA released an album of highlights. 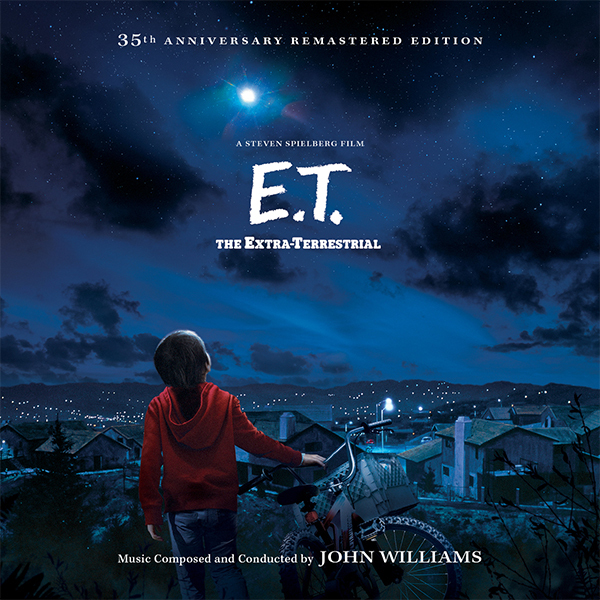 For this Intrada presentation of the entire score, including several alternates, Intrada was provided access to the complete two-track stereo scoring session mixes, made by Shawn Murphy, on DATs provided by Universal Pictures. Balto was inspired by true events. The real-life Balto, a Siberian husky, led the final dog team (of several) that delivered desperately needed diphtheria serum through over 600 miles of brutal January weather to Nome, Alaska, in 1925. The dog’s heroics made headlines and inspired the annual Iditarod sled race. For Intrada's latest release from the 20th Century Fox catalog come two TV movies from the mid-'80s scored by none other than Georges Delerue. Produced by 20th Century Fox Television for broadcast on ABC, the 1984 TV movie Love Thy Neighbor was something of an inversion of the also-Delerue-scored The Woman Next Door. In that 1981 Truffaut film, a pair of ex-lovers, now married to other people, wind up as neighbors and rekindle their affair. By contrast, Love Thy Neighbor tells the story of a man and a woman who find solace in each other when their spouses run off together. Showcasing his versatility as a composer, Delerue’s music for Love Thy Neighbor is divided fairly evenly between underscore and source music. 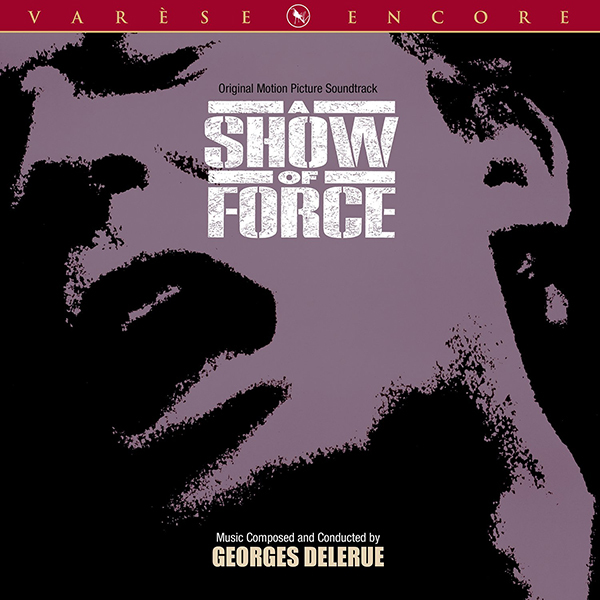 This being a comedy, the tone never grows too heavy; Delerue lifts the mood with high-spirited melodies, initially featuring flute and strings. The telefilm debuted on May 23, 1984, and was a ratings victory for the network, winding up the most-watched program for the week. As with Love Thy Neighbor, Sin of Innocence deals with the fallout of divorce, this time through the lens of the children involved. Bill Bixby plays a widower who marries a divorcee played by Dee Wallace Stone. Their combined household thrusts together teenage son (Dermot Mulroney) and teenage daughter (Megan Follows). The newly minted step-siblings’ relationship is tense at first, but soon becomes affectionate—and then blossoms into something more. A lot more. The stakes for the telefilm's star-crossed young protagonists feel more urgent and consequential, and this is shown in both the quantity of dramatic underscore and the overall tone, which is lush and at times bittersweet. The palette is orchestral, though enhanced in places with synthesizers, and electric guitar (delicately performed) provides a contemporary flavor. Sin of Innocence premiered on CBS on March 26, 1986. Both scores were mixed and assembled by Mike Matessino and Neil S. Bulk from the stereo sessions elements stored at 20th Century Fox. 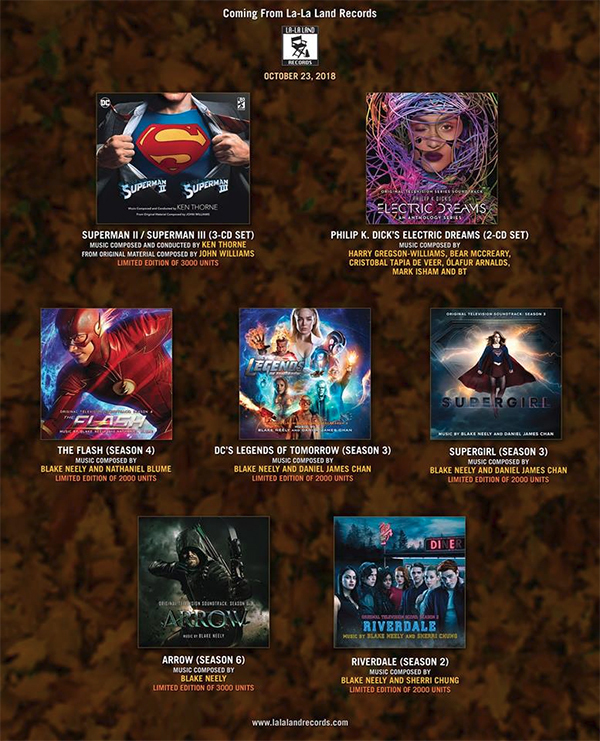 Varèse Sarabande Releases: "DRACULA ", ON DEADLY GROUND" and "A SHOW OF FORCE"
Varèse Sarabande Records proudly announces the next album releases of their famed CD Club. These 3 limited edition masterpieces are available now at Varèse Sarabande. 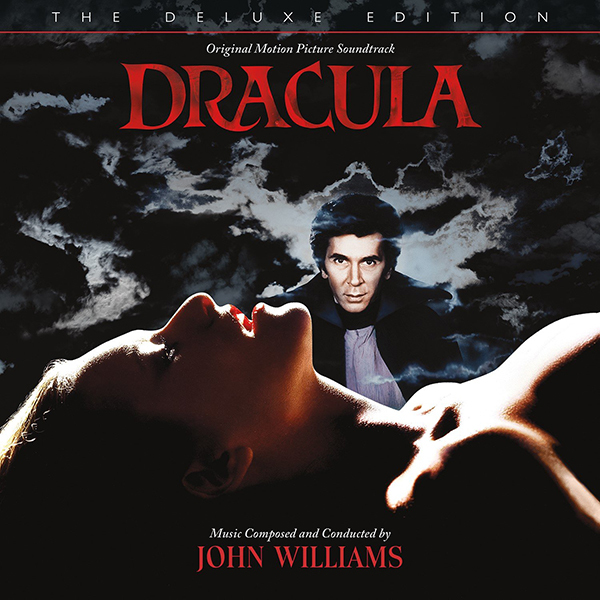 Headlining the slate of new releases is Varèse Sarabande’s most requested soundtrack, DRACULA. This classic John Williams’ score comes in an epic 2-CD set that pulses with darkly romantic and seductively iconic themes. The Deluxe Edition includes the newly-mastered-from-a-new-source original soundtrack and Mike Matessino’s 2018 resurrection of the score that is a whopping 72 minutes with cues not heard in the final cut of the picture. 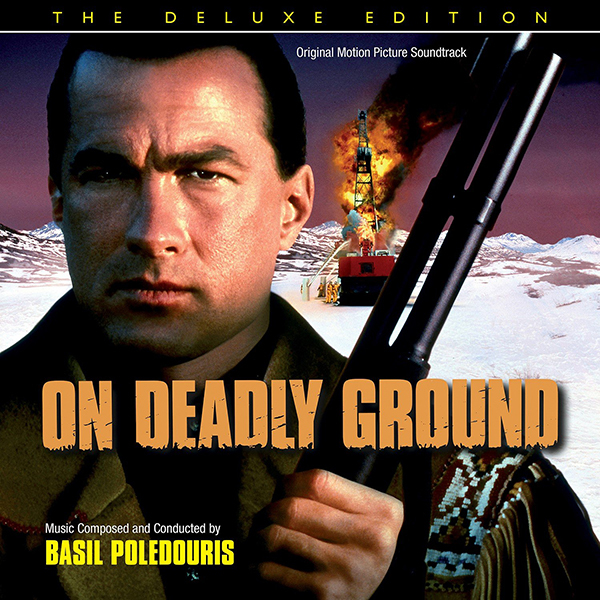 Demonstrating the pinnacle of his martial music prowess, Basil Poledouris scores the Steve Seagal action flick, ON DEADLY GROUND. This is powerhouse Poledouris and not to be missed! The original 30 minute CD selection has been expanded to a truly epic 79 minutes!! New liner notes feature director and star Steven Seagal discussing Basil Poledouris. A SHOW OF FORCE proves that not all violence is physical. Directed by Bruce Barreto and starring Amy Irving, Robert Duvall. Andy Garcia and Lou Diamond Phillips, this political thriller features a Georges Delerue score that was available for only a short time back in 1990. Varèse Sarabande is so excited to welcome this one back! RLJE Films (NASDAQ: RLJE) will release the critically acclaimed action/thriller MANDY on DVD and Blu-ray on October 30, 2018. 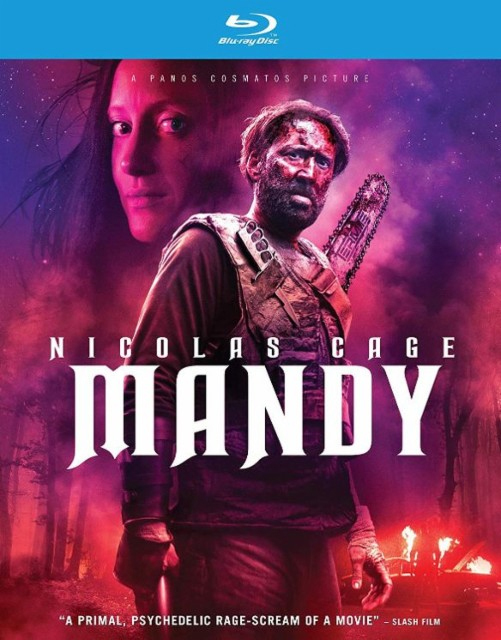 MANDY has standout performances by Nicolas Cage (Mom & Dad, Leaving Las Vegas), Andrea Riseborough (Battle of the Sexes, Birdman) and Linus Roache (“Homeland,” “Vikings”). The film was directed by visionary filmmaker Panos Cosmatos (Beyond the Black Rainbow) and co-written with first-time screenwriter Aaron Stewart-Ahn. MANDY features the final score of the late renowned Oscar-nominated composer Jóhann Jóhannsson (Sicario, The Theory of Everything). 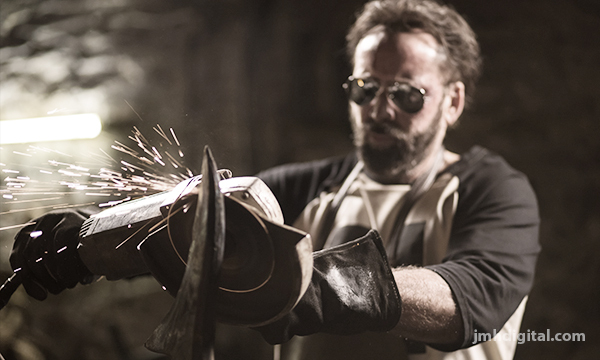 RLJE Films will release MANDY on DVD and Blu-Ray. Emmy-award winning Frederik Wiedmann is one of the most diverse and cultivated composers working in motion pictures today. With over 90 titles to his name in all realms and genres, he has established himself as an insightful artist with an enduring passion for storytelling. Some of his most notable projects include the hit Disney Junior show Miles from Tomorrowland, Dreamworks Animation’s All Hail King Julien (won him a Daytime Emmy Award), Netflix’s critically acclaimed animated fantasy series The Dragon Prince, the thriller Hangman (directed by Johnny Martin), Green Lantern; The Animated Series (earned him two Annie Awards nominations), Field of Lost Shoes (directed by Sean McNamara), and two projects for Millennium Films: Acts of Vengeance and Day of the Dead: Bloodline. 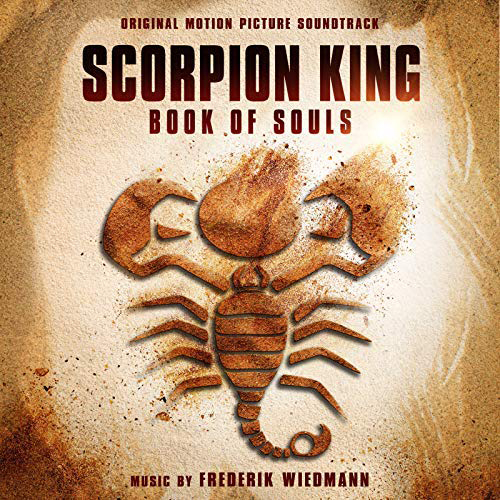 Frederik’s most recent projects include, Scorpion King: Book of Souls and the documentary film Snow to Sand, both of which will have original soundtrack releases. In Scorpion King: Book of Souls, the Scorpion King teams up with a female warrior named Tala, who is the sister of The Nubian King. Together they search for a legendary relic known as The Book of Souls, which allow them to put an end to an evil warlord. 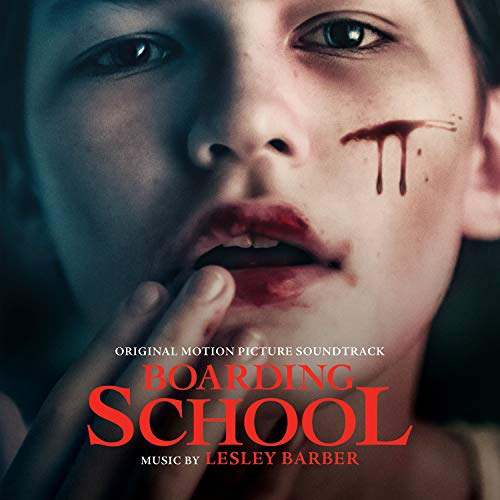 Back Lot Music will release the Original Motion Picture Soundtrack on October 19th. 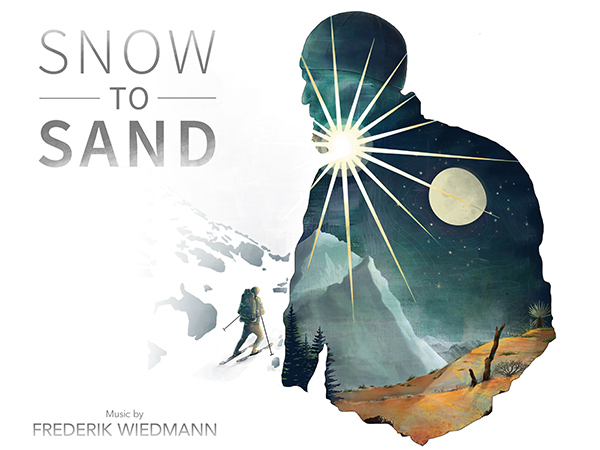 Snow to Sand tells a timeless story about adventure and exploration through two modern day explorers traversing America’s 2,650-mile Pacific Crest Trail from Canada to Mexico for the first time in the winter. 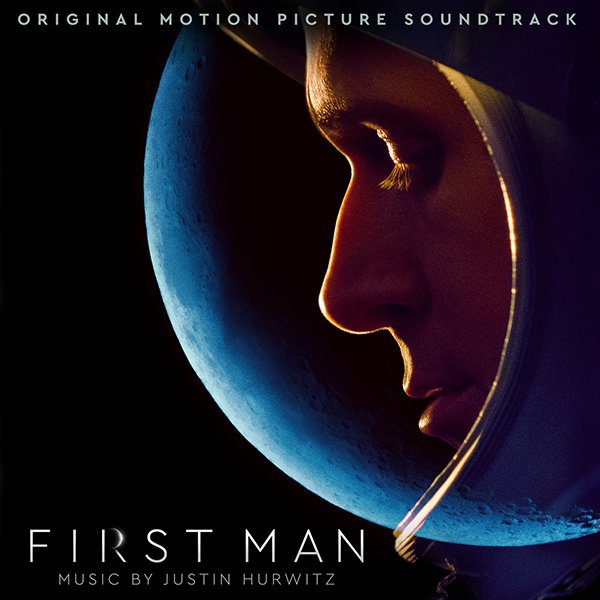 The Original Motion Picture Soundtrack will be released on October 23rd. Legendary horror and dark fantasy film studio Full Moon Features (founded by producer / director Charles Band in 1989) is world-renowned for wild films like PUPPET MASTER, CASTLE FREAK, SUBSPECIES, EVIL BONG and many, many more. But nestled among Full Moon's vast entertainment universe sits Moonbeam Entertainment, the beloved '90s imprint that housed Band's series of imaginative (and successful) fantasy films. Beginning in 1993 and continuing well into the late '90s, Moonbeam Entertainment released dozens of remarkable (and hugely popular) horror, sci-fi and fantasy movies made for children and families. 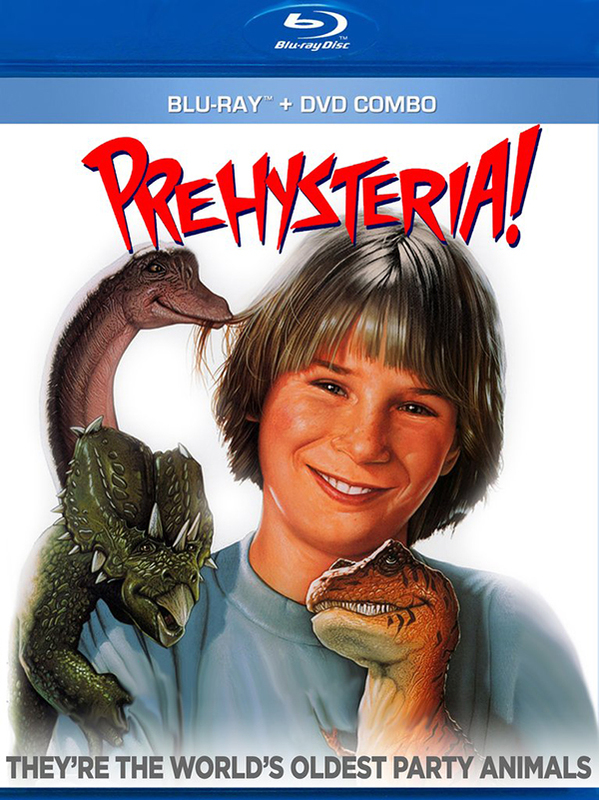 Now, Full Moon is thrilled to be bringing back many of those marvelous pictures from the Moonbeam library, starting with the film that started it all: PREHYSTERIA! Anticipating the success of JURASSIC PARK, this 1993 VHS-era favorite follows the misadventures of Jerry Taylor (Austin O'Brien, THE LAST ACTION HERO), a 12 year old Elvis-loving kid and his sister Monica (Samantha Mills), whose raisin farmer dad Frank (Brett Cullen, GHOST RIDER) accidentally brings home a bundle of rare eggs unearthed in the rainforest by Rico Sarno (Stephen Lee, DOLLS), an sinister museum curator. Suddenly, the eggs hatch, unleashing a pack of diminutive dinosaurs that the kids name after their favorite rock and pop music stars - Elvis, Jagger, Madonna, Paula, and Hammer. 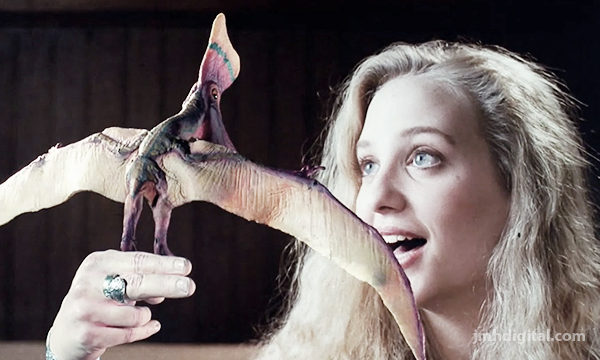 But when Sarno finds out about the dinos, he'll stop at nothing to get his hands on them and its up to Jerry and Monica to protect their new "family". Come and spend some time with the world's oldest party animals! Matt Smith (“Dr. Who”), Natalie Dormer (“Game of Thrones”) and Academy Award® nominee Stanley Tucci (Best Supporting Actor, The Lovely Bones, 2009) star in PATIENT ZERO, debuting on Blu-ray and DVD October 23 from Sony Pictures Home Entertainment. 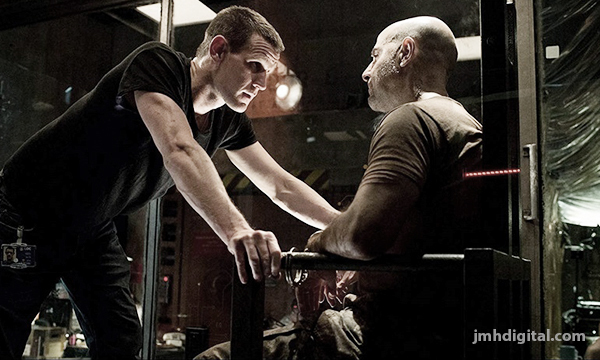 After a super-virus has turned humankind into highly intelligent, streamlined killers, an asymptomatic victim (Matt Smith) who can communicate with the infected, must lead the last survivors on a hunt for Patient Zero and a cure. Directed by Stefan Ruzowitzky (The Counterfeiters), PATIENT ZERO also stars Agyness Deyn (Clash of the Titans) and Clive Standen (“Vikings”). Directed by Stefan Ruzowitzky from a screenplay by Mike Le, PATIENT ZERO was produced by Vincent Newman and executive produced by Glenn S. Gainor and Steve Norris. A shocking, brutal tale that blends the dark history of Chile's recent repressive dictatorial past with the seemingly modern and progressive Chile of today. The two worlds clash when a group of women venture to the idyllic countryside for a weekend of fun. 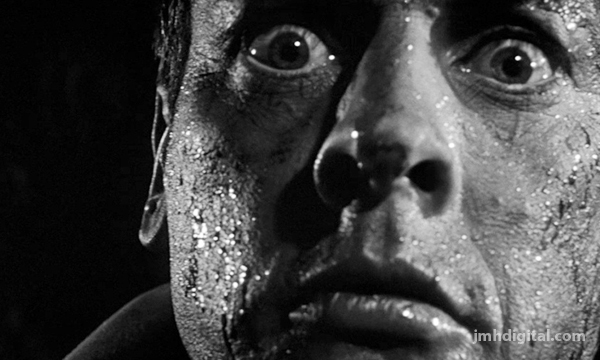 But their outing soon turns nightmarish when a victim of government torture stumbles upon them, unleashing his pent-up rage. Face to face with the depravity of man, the women must fight for their very lives. 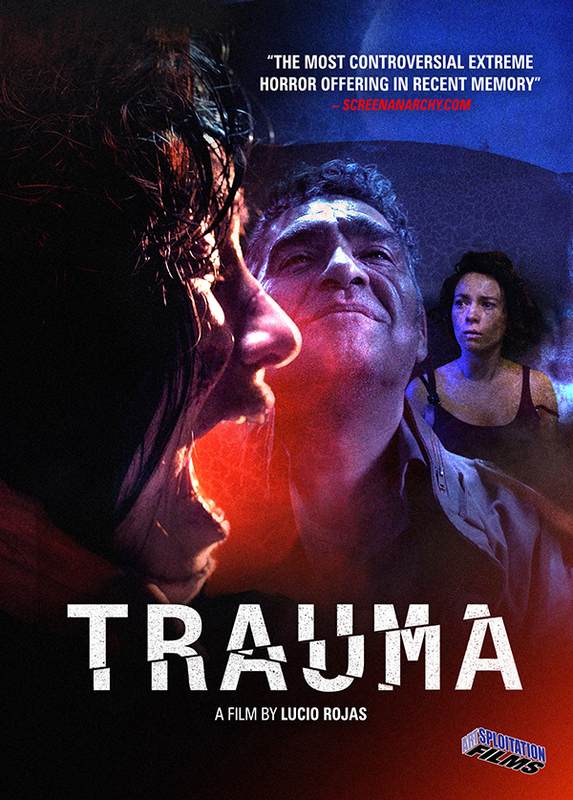 Director Lucio A. Rojas exposes the horrors of politics with evil that can lie within the soul of ordinary men. A Fashion House of Glamorous Models... Becomes a Terror House of BLOOD!.. Director Mario Bava's Giallo Masterpiece! An unscrupulous business operating under the guise of a top fashion house with exotic models running sexual favors, cocaine dealings and blackmail, becomes a murder scene--after someone is pushed to the edge. The saga begins when a beautiful model is brutally murdered, and her boyfriend, a known addict supplying her drugs, is suspected of the crime...but is he guilty or is someone waiting in the shadows setting him up? 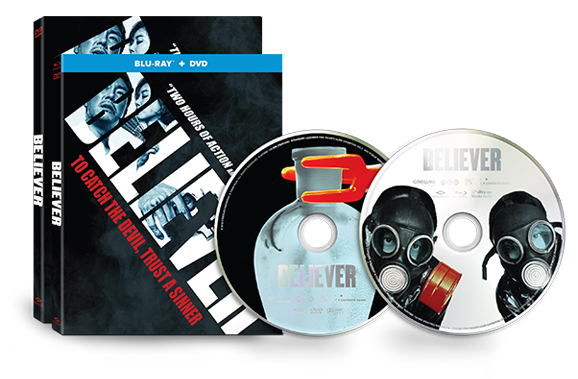 Directed by Lee Hae-Young (The Silenced), BELIEVER, the stylish, action-packed remake of Johnnie To’s Drug War, hits digital, Blu-ray™ Combo Pack and DVD October 30 from Well Go USA Entertainment. While technically a remake, Cary Darling of The Houston Chronicle notes that “Lee Hae-Yeong’s gripping retelling ... stands on its own and is different enough from the original to make it less a clone and more of a genuflection.” The story follows an investigator who, in an effort to bring down the boss of Asia’s biggest drug cartel, conspires with a lowly member of the gang seeking revenge against the boss. 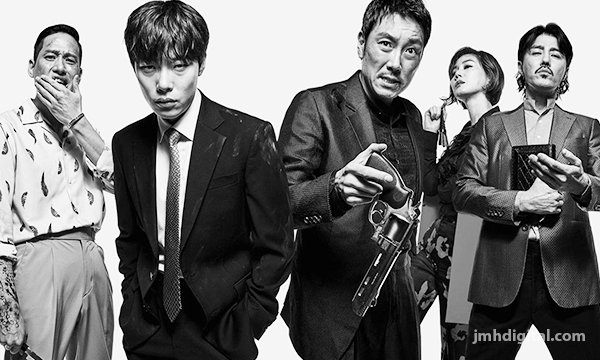 BELIEVER, stars Cho Jin-woong (The Handmaiden), Ryu Jun-yeol (A Taxi Driver), Kim Joo-hyuck (The Servant), Kim Sung-ryoung (The Target), Park Hae-jun (Unforgettable) and Cha Seoung-won (Man on High Heels). After a drinking contest with some questionable local spirits at an out-of-control bachelorette party, five friends wake up naked on a beach to discover one of them is handcuffed to a locked suitcase, one has a strange new tattoo, and none of them have any clue what happened the night before in GIRLS VS. GANGSTERS, the fun-filled sequel to the over-the-top 2014 romp Girls. They soon become the target of local gangsters as they try to retrace their drunken steps and make it back home and to the alter on time. Directed by Barbara Wong (Break Up Club, Girls), the film stars Fiona Sit (The Midnight After), Yihan Chen (Spider Lilies) and Ning Chang (Black & White: The Dawn of Justice), with a special appearance from Mike Tyson (Ip Man 3, Kickboxer: Retaliation). GIRLS VS. GANGSTERS brings the party home on digital October 2 and on DVD November 6 from Well Go USA Entertainment. 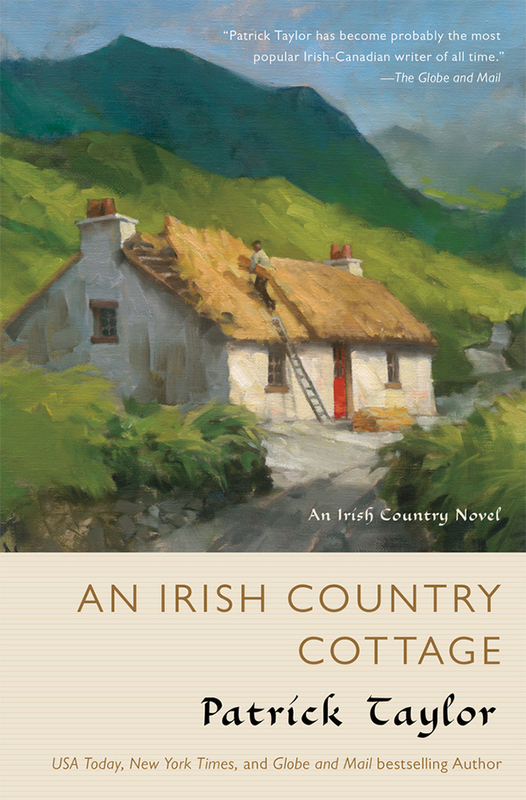 Forge Books: "An Irish Country Cottage" - Patrick Taylor "An Irish Country Novel-Irish Country Books (Volume 13)"
Good thing Doctors O’Reilly and Laverty are on hand to rally the good people of Ballybucklebo to come to their aid. Rebuilding the cottage won’t be quick or easy, but good neighbors from all walks of life will see to it that the Donallys get back on their feet again, no matter what it takes. Meanwhile, matters of procreation occupy the doctors and their patients. Young Barry Laverty and his wife Sue, frustrated in their efforts to start a family, turn to modern medicine for answers. O’Reilly must tread carefully as he advises a married patient on how to avoid another dangerous pregnancy. As a new and tumultuous decade approaches, sectarian division threaten to bring unrest to Ulster, but in Ballybucklebo at least, peace still reigns and neighbors look after neighbors. PATRICK TAYLOR, M.D. was born and raised in Bangor County Down in Northern Ireland. Dr. Taylor is a distinguished medical researcher, offshore sailor, model-boat builder, and father of two grown children. He lives on Saltspring Island, British Columbia. He is the author of the bestselling Irish Country series, including An Irish Country Cottage, An Irish Country Practice, An Irish Country Doctor and many more. Jacob Felsen experiences every kid's worst nightmare -- attending boarding school at a creepy old mansion with six teenage misfits and two menacing teachers. 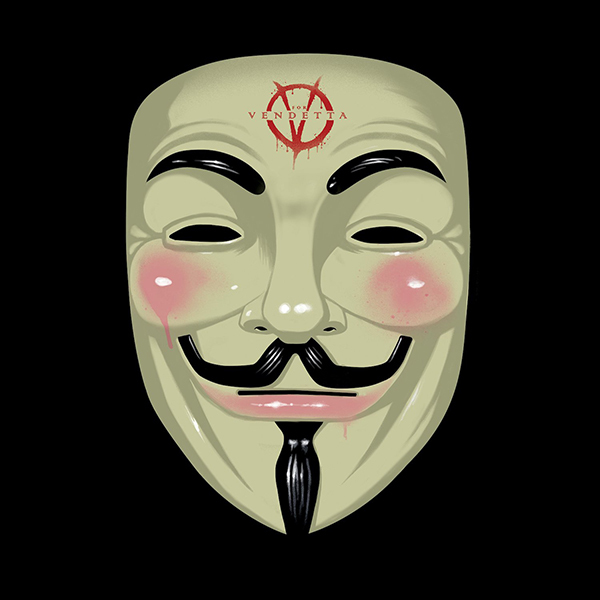 He must soon confront all of his fears as events become increasingly sinister and horrific. A member of the Academy of Motion Picture Arts and Sciences Class of 2016, film composer Lesley Barber writes music marked by intelligence and emotional depth. She has scored a string of award-winning and highly acclaimed projects, including Kenneth Lonergans multi-award-winning and Oscar-nominated film, Manchester by the Sea. A multi-instrumentalist, conductor and pianist, Lesleys interest in modern electronic programming, loops, and effects adds dimension to her work, creating hybrid atmospheric scores with lush orchestration with an innate ability to bring the essential to light and avoid the cliché. Her distinguished list of credits include Lonergans Oscar-winning You Can Count On Me, Jerry Rothwells award-winning documentary How To Change The World, Patricia Rozemas Mansfield Park, Mira Nairs Golden Globe winning Hysterical Blindness, Mary Harrons Moth Diaries, the childrens classic Little Bear with Maurice Sendak, Yo-Yo Ma: Six Gestures, Boaz Yakin's Price Above Rubies, Wiebke Von Carolsfelds Marion Bridge, and the recently released powerhouse doc The Apology by Tiffany Hsiung. Lesleys current films include a remake of the film Beaches, Attiya Khans award winning documentary A Better Man, Boarding School, a horror adventure film written directed by Boaz Yakin, the upcoming Netflix premiere of Irreplaceable You, directed by Stephanie Laing, and upcoming Late Night starring Emma Thompson and Mindy Kaling directed by Nisha Ganatra. Humans transformed their world from the saddle of a horse. Explore the evolution of horsepower, discover the mysterious origins of our incredible partnership, and witness our enduring love of horses in the present day. Join anthropologist Niobe Thompson on a fascinating global journey into the world of the horse. 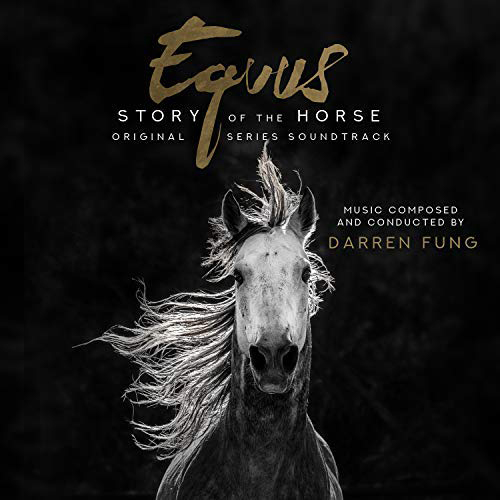 Darren Fung is a three-time Canadian Screen Award nominated film composer. He caught the composing bug at age fifteen when he wrote a piece for the Edmonton Symphony Orchestra’s Young Composer Project. After finishing his degree at McGill and living and loving Montreal for twelve years, Darren is now based out of Los Angeles. Amongst his credits, Darren recreated Canada's second national anthem, the beloved Hockey Theme, for CTV and TSN. Every weekday morning his music is heard on CTV’s flagship morning news program, Canada AM. His work was the focus of Bell Canada’s Orchestra spot, run during the 2010 Vancouver Olympics, and was voted as Canada’s top commercial by readers of The Globe and Mail. His much-lauded score to The Great Human Odyssey, recorded with members of the Edmonton Symphony and Pro Coro Canada and released on the prestigious Varèse Sarabande label. It was nominated for an International Film Music Critics Association Award for Best Documentary Score and won the 2016 Canadian Screen Award for Best Original Score Non Fiction Program or Series. His feature and short film scores have been heard at prestigious film festivals around the world, including Toronto, Cannes, and Sundance. In 1985 a gang of criminals steals 140 pre-Hispanic pieces from the National Museum of Anthropology in Mexico City. I couldn't find too much on this music or film... though the score is wonderful! 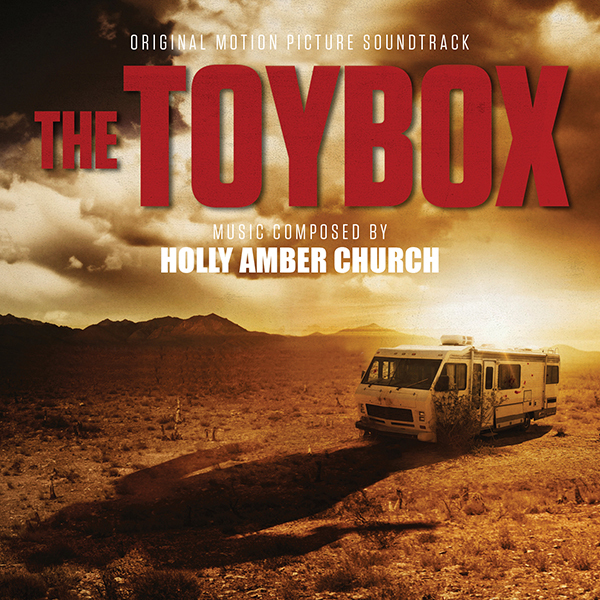 Coinciding with the film’s general release on 18 September 2018, ScreamWorks Records once again teams up with Holly Amber Church (The Devil’s Dolls, Ruin Me) with the composer’s next terrifying project, The Toybox. Directed by Tom Nagel, written by Jeff Denton and produced by Tom Nagel, Jeff Denton, Brian Nagel and Jeff Miller, the film follows the journey of a cursed RV that ends up lost in the middle of the desert. With passengers including Denise Richards and Mischa Barton, the trip that was meant to bring together a dysfunctional family may be the last trip this group is ever going to take. 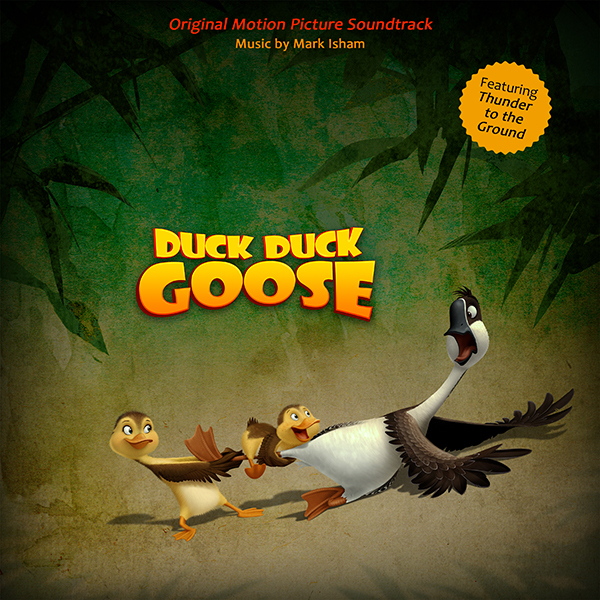 Lakeshore Records pleased to announce the release of DUCK DUCK GOOSE – Original Motion Picture Soundtrack on Digital Download on September 28, 2018. The Album features original music by Emmy-nominated, Grammy-winning Composer Mark Isham (THE BLACK DAHLIA, ONCE UPON A TIME). As the annual migration of his flock nears, carefree bachelor goose Peng (Jim Gaffigan) is off attempting one crazy stunt after another. One such stunt scatters a flock of ducks, separating brother Chao (Lance Lim) and sister Chi (Zendaya) ducklings from their family. After Peng allows his own flock to leave and than breaks his wing, Peng joins Chao and Chi on a journey that will teach Peng the power of unconditional love as the three grow into a family. Since his first score for Disney’s critically acclaimed film NEVER CRY WOLF, Mark Isham has consistently demonstrated his diverse musical voice. With over one-hundred film and TV scores including BLADE, THE SECRET LIFE OF BEES, A RIVER RUNS THOUGH IT and the Jackie Robinson biopic 42, Mark continues a career as an established performer and recording artist. Winning a Grammy for his Virgin Records release, Mark Isham and Grammy nominations for his albums Castalia and Tibet. He has collaborated and performed with jazz legends including Chick Corea, Herbie Hancock and Bobby McFerrin. Mark Isham’s jazz releases have received critical-acclaim: Blue Sun was included in Downbeat’s “Top 100 Jazz Albums of the Decade;” and The London Times named Miles Remembered: The Silent Way Project “Best Jazz Album.? 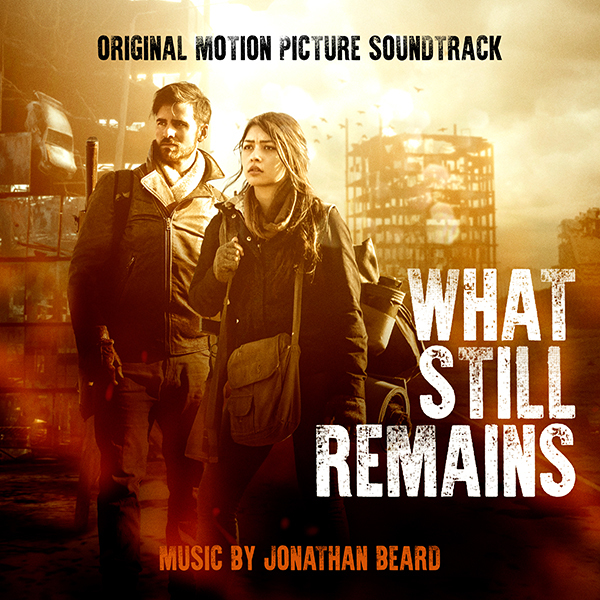 Lakeshore Records pleased to announce the release of WHAT STILL REMAINS – Original Motion Picture Soundtrack on Digital Download on October 5, 2018. 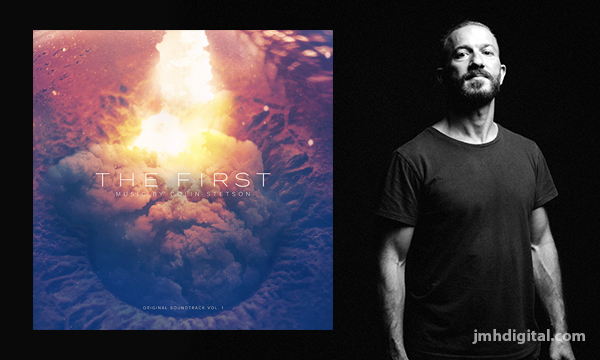 The Album features original music by astounding Composer Jonathan Beard (STAR WARS: THE OLD REPUBLIC – KNIGHTS OF THE FALLEN EMPIRE). A generation after the “Change”, a zombie virus that ravaged modern civilization, Anna (Lulu Antariksa), the last of her family, must choose the isolation of the only four walls she’s ever known or the unpredictability of a desolate wasteland and monsters. Anna encounters Peter (Colin O’Donoghue), who promises community of companionship and protection, and Berserkers, humans dressed as “the changed” searching for victims of their own. While Peter’s group may not prove exactly what Anna wants, they may be what she needs but Anna knows that nothing in WHAT STILL REMAINS is free. “Peter presents a delicious musical opportunity: an intriguing and initially sympathetic character who is ultimately not what he seems. The theme for Peter is built around an unsettling four-note motif that obfuscates major and minor modes becoming more claustrophobic and intense as it progresses,” explains Jonathan, “Working with director Josh Mendoza, as well as stars Colin O’Donoghue and Lulu Antariksa, has been a dream. There’s nothing more enjoyable musically than getting to augment nuanced and compelling acting performances from a great cast, with a director who loves what music can bring to a film”. Jonathan Beard creates music for media and the concert stage. As a composer, his recent projects include scoring the feature films like FRANK VS. GOD and guest-composing for ABC's ONCE UPON A TIME. For the stage, Jonathan co-composed the oratorio The Passion Of Anne Frank for the Los Angeles Master Chorale as part of their Voices Within residency, and his original theatre-score for Driving Miss Daisy received an NAACP Theatre Award nomination. He also recently completed the I-Park Foundation Artist Residency for his in-progress electroacoustic opera Cesare, Child Of Night. This touching, visually stunning, and genre breaking film, directed by sister-brother artists and filmmakers Elan and Jonathan Bogarín, was the opening night film of the 2018 Sundance Film Festival’s NEXT section (and the first documentary ever to be selected for the program). When siblings Elan and Jonathan Bogarin undertake an archeological excavation of their late grandmother’s house, they embark on a magical-realist journey in search of what life remains in the objects we leave behind. 306 HOLLYWOOD transforms the dusty fragments of an unassuming life into an epic metaphor for the nature of memory, time, and history. “We wanted to create a heightened world, where the ordinary becomes extraordinary. 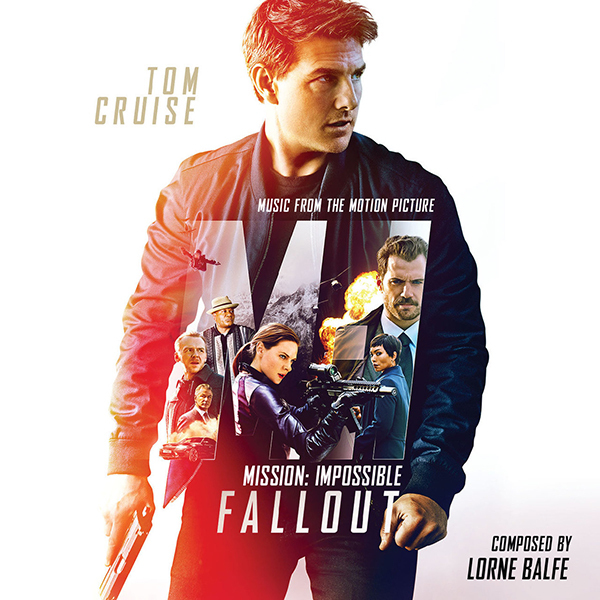 So we went all in with the film score – treating the music as a full character in a way that shapes the film far more than a typical documentary. Troy’s magical realist film score brings out the wonder and mystery behind our everyday reality.” – Elan Bogarin, director. The Bogarins embark from Grandma’s cluttered New Jersey home to ancient Rome, traversing worlds from fashion to physics in the excavation of the extraordinary universe contained in a single house. With help of scientists, curators, and archivists, tchotchkes become artifacts in the profound exploration of the question: When a loved one dies, what should we do with everything they left behind? Troy Herion is a composer and filmmaker whose versatile compositions range from classical and avant-garde orchestral music to intricate and melodic electronic scores. With classical training from the Princeton University PhD program, Herion’s commissions include a Carnegie Hall debut with the American Composers Orchestra, an orchestral ballet with The Pennsylvania Ballet, and a large-scale experimental theater piece with Obie-winning Pig Iron Theatre and the Grammy-winning Crossing Choir. 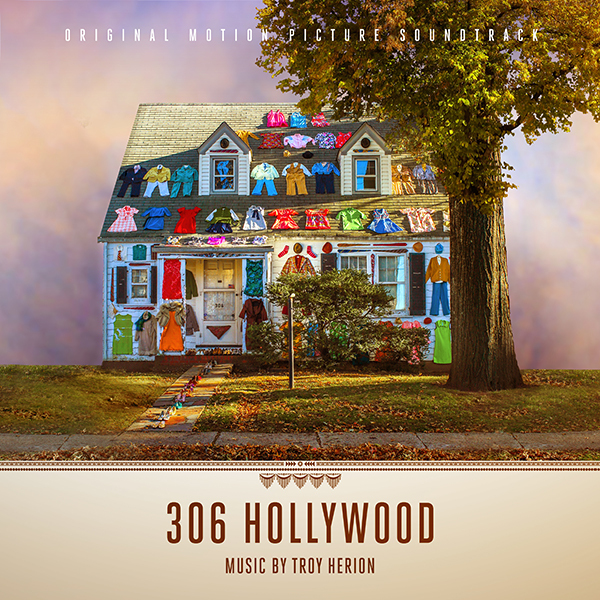 Recent film scores by Troy Herion include award-winning films 306 Hollywood, The Dog, Mountain Fire Personnel, and You Can Go which have screened at Sundance, Toronto, SXSW, MoMA, and Tribeca Film Festival. Herion composes and directs visual-music films including Baroque Suite and New York: A City Symphony which have been called “marvelous” by New Yorker music critic Alex Ross and were featured on MTV, the New York Times, and NPR. His scores grace digital content for Google, The Whitney Museum, MoMA, The Getty, and many others. Leonard Rosenman was born in Brooklyn, New York. After service in the Pacific with the United States Army Air Forces in World War II, he earned a bachelor's degree in music from the University of California, Berkeley. He also studied composition with Arnold Schoenberg, Roger Sessions and Luigi Dallapiccola. 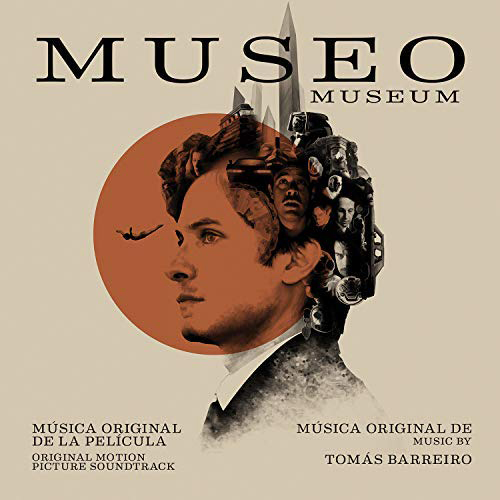 Music.Film Recordings and Varèse Sarabande Records will digitally release What They Had – Original Motion Picture Soundtrack on October 19th, which features an original score written by composer Danny Mulhern (Silent Witness, Princess Margaret: The Rebel Royal). The BLEECKER STREET film has received critical praise since it first premiered at the Sundance Film Festival earlier this year. The New York Observer raves that What They Had is “compassionate and utterly engaging. A stellar ensemble.” Most recently, the film was an official selection at the Toronto International Film Festival. What They Had will be released theatrically in the U.S. on October 19th. “The score for What They Had needed to convey the warmth and intimacy of the family dynamic, alongside the tensions going on within their relationships. The music has an intimate, homespun atmosphere, and as the film moves through its narrative, the score opens out more and more. Working on this project allowed me yet another opportunity to collaborate with the incredible London Contemporary Orchestra,” says Danny. 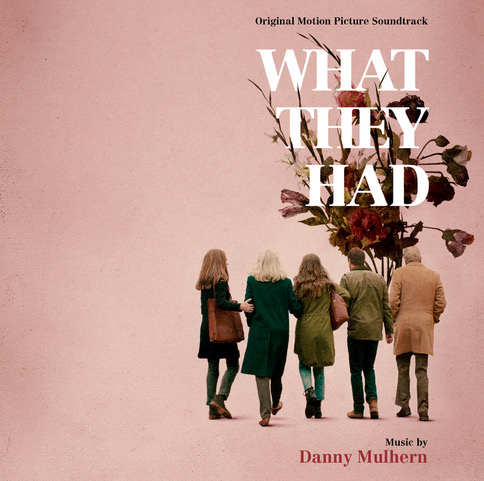 About Danny Mulhern: Danny Mulhern is a composer, multi-instrumentalist and producer from London. He writes music for film and mostly works with small ensembles, mixing live instruments, synthesis and beats, combining contemporary classical with ambient/electronic. Much of his recent work has been with members of the London Contemporary Orchestra on film scores and records, most recently the film, What They Had. A heart-wrenching family drama starring Hilary Swank, Michael Shannon, Blythe Danner and Robert Forster. Other Film and TV scores include long-running forensic crime drama Silent Witness (BBC Drama), BBC wildlife documentary strand The Natural World, major arts and science documentaries for the BBC including How Art Made The World and Alternative Medicine, plus entertainment shows with Derren Brown, Matt Lucas and Simon Pegg. 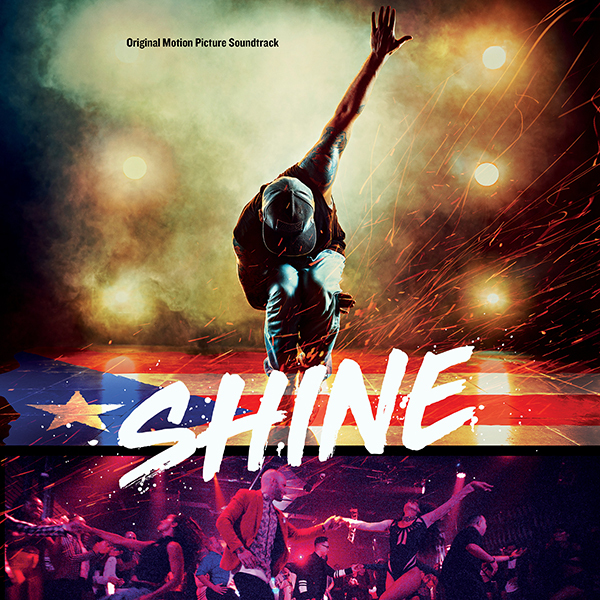 Varèse Sarabande is excited to announce the SHINE – Original Motion Picture Soundtrack releasing digitally on October 5, 2018 and on CD on November 16th. Salsa was born on the streets of Spanish Harlem before transcending to a global audience, and the Fania label was the catalyst. The soundtrack to Shine mines the tremendous Fania catalog, featuring songs from Willie Colón, Tito Puente, Eddie Palmieri and the Fania All-Stars among others. SHINE is a story about two brothers, once renowned NYC salsa dancers, now on opposing ends of neighborhood gentrification, who must face each other in the shadow of their father’s death and a family legacy in the Spanish Harlem arts community. SHINE is a film that showcases the culture and tradition within the Nuyorican community with salsa music and street dance as a way of life. The dance defines the film’s central characters and echoes the story plot lines of seduction and love to anger and betrayal. The soundtrack to SHINE dives into the Fania catalog, and features many lesser known, but no less incredible songs. It serves as not only a great introduction for those unfamiliar with salsa, but also a logical next step for fans looking to deepen their appreciation. Dominican-born composer and bandleader Johnny Pacheco and Attorney Jerry Masucci founded Fania in 1964. Fania’s roster includes nearly all the original salsa greats; Willie Colón, Celia Cruz, Rubén Blades, Héctor Lavoe and many others. Even salsa stars affiliated with other labels such as Tito Puente and Eddie Palmieri made great music with Fania during their careers. 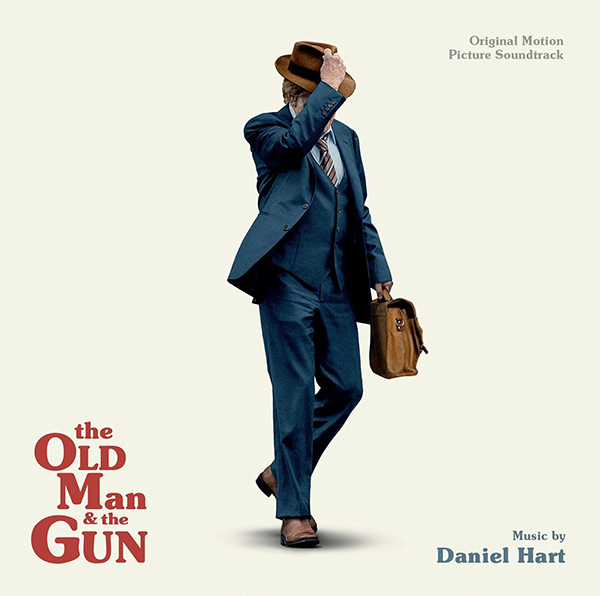 Daniel Hart is a performer and composer from Dallas, Texas... He has toured and recorded with bands like St. Vincent, The Polyphonic Spree, Broken Social Scene, Other Lives, and countless others.... For the past five years, Hart has been composing music for film and TV. His feature film debut, Ain’t Them Bodies Saints, garnered him critical praise, and Filmmaker Magazine named him one of 2013’s 25 Faces of Independent Film. Hart has scored a dozen feature films over the last four years, including Disney’s Pete’s Dragon and the Natalie Portman-produced documentary Eating Animals. He also composed the music for Showtime's SMILF and Fox’s TV show The Exorcist. Varèse Sarabande will release for the first time ever on CD, FLETCH – Original Motion Picture Soundtrack on October 12, 2018. 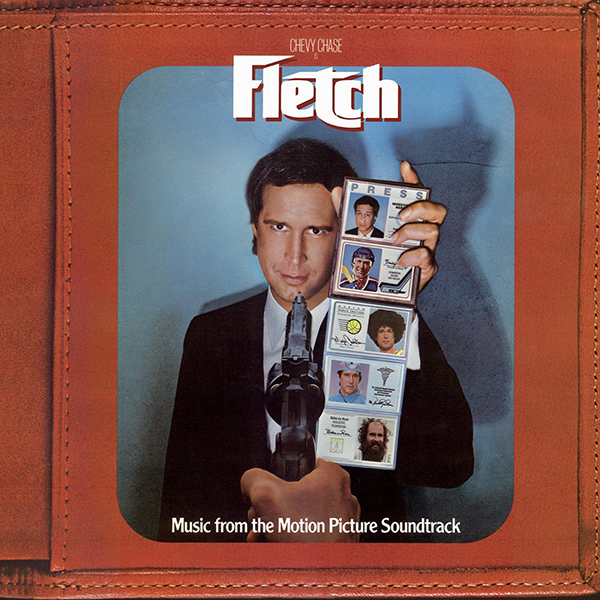 On the same day Varèse Sarabande will release FLETCH – Original Motion Picture Soundtrack on vinyl LP. The FLETCH soundtrack dives right into the 80’s with stalwarts like The Fixx and Kim Wilde. “Bit By Bit (Theme From FLETCH)” performed by Stephanie Mills and “Fletch, Get Outta Town” performed by Dan Hartman highlight the soundtrack which includes the score from composer Harold Faltermeyer (BEVERLY HILLS COP, TOP GUN). Cleverly disguised as a crime drama, FLETCH is the classic 1985 comedy starring Chevy Chase at the height of his SNL fame as Irwin M. "Fletch" Fletcher. Changing identity more often than his underwear, Fletch is an investigative reporter working on a racy drug expose when he is given an outlandish proposition. 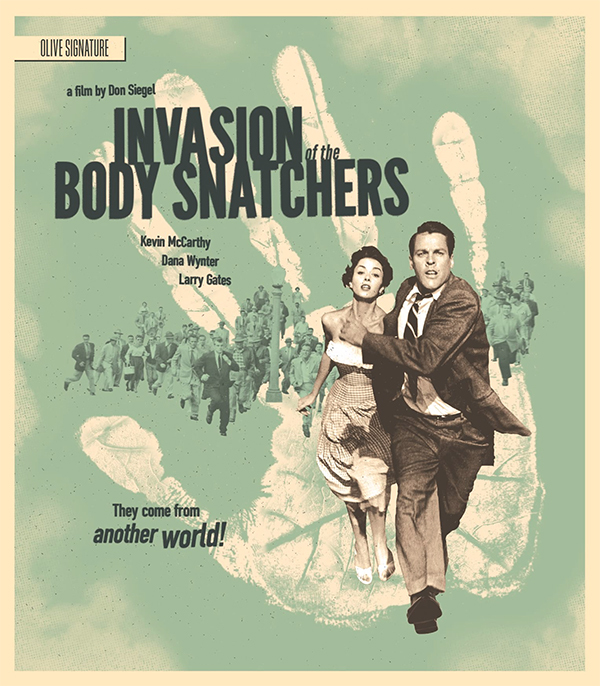 To assassinate a strange businessman (Tim Matheson) who wants to be killed so his wife will inherit more insurance. The wily Fletch senses a scam, and soon he's up to his byline in frame-ups, murder, police corruption and forbidden romance. It'll be the story of the year, if he can stay alive to meet his deadline! This box office hit led to the sequel FLETCH LIVES. 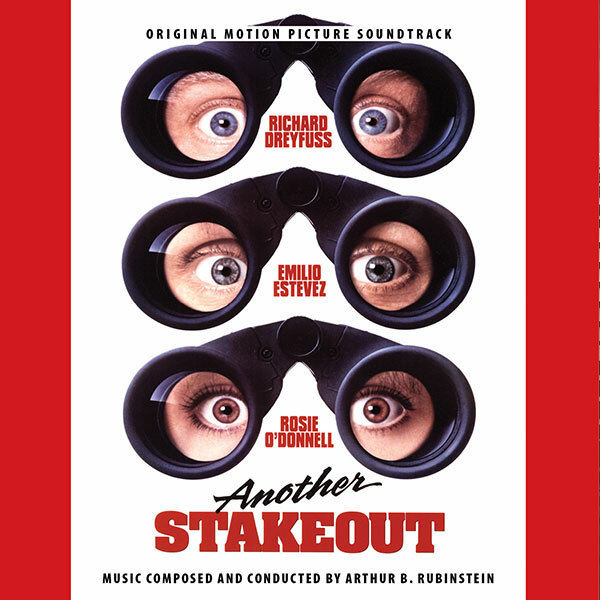 In honor of composer Arthur B. Rubinstein who passed away earlier this year, Intrada is proud to present his colorful, spirited score to the 1993 sequel, Another Stakeout starring Richard Dreyfuss, Emilio Estevez and Rosie O'Donnell. In the first film, Stakeout, Chris Lecce (Dreyfuss) and Bill Reimers (Estevez) pair as comically quarrelsome Seattle detectives who stake out the ex-girlfriend of an escaped con, only for Lecce to fall head-over-heels in love with the woman they are surveilling. Six years later, Another Stakeout heats up with a literal bang as hit man Tony Castellano (Miguel Ferrer) attempts to blow up Lu Delano (Cathy Moriarty), the star witness against a Mafia boss. When Delano subsequently vanishes, zealous A.D.A. Gina Garrett (O’Donnell) recruits Lecce and Reimers to stake out the lake district where Delano is believed to be hiding. Rubinstein’s score for Another Stakeout is distinguished from its predecessor in several ways, one of which is scope. As a budget eighties actioner, the original movie had a synth-heavy score with a pronounced pop vibe. 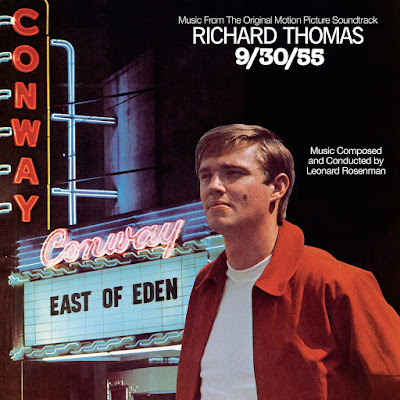 The sequel also employs synth and pop elements, but with a nearly ninety-member orchestra at the composer’s disposal. The difference is immediately apparent in the main title, with its spellbinding arpeggios and sumptuous dark strings. The film relies on its own catalogue of motifs. First is the suspenseful theme introduced in the main title. Second is a muscular action theme, related to the motif for the actual stakeout. Finally, there is a heartstring-tugging theme for Lecce and Maria that spotlights the colors of guitar and flute. Though not heard frequently—it appears about as often as Maria herself—this is one of Rubinstein’s loveliest melodies. Rubinstein scored the opening portion in a serious vein, then fashioned his score to match the amiable dynamics of the two principal stars. The soundtrack for Another Stakeout plays as two distinct scores. Common thematic ideas and harmonic devices are shared in both styles of writing and the result is an unusually strong cohesiveness within a widely diverse hour of music. Intrada prepared this premiere release from the 2″ 24-track masters recorded over four days in late June 1993 by veteran John Richards at Todd-AO Studios with the composer conducting. With so many cinematic blockbusters released this year, make it easy on your audience to choose the right Halloween costume for them. 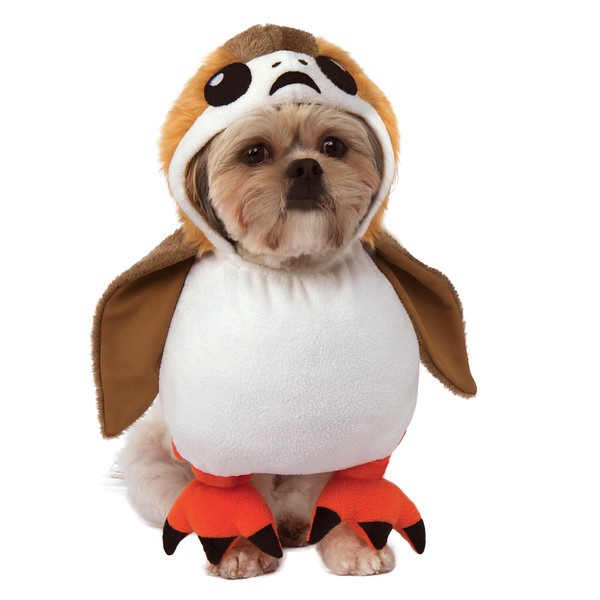 If you are running a feature on what to wear this Halloween, Disney can help provide the perfect head start. 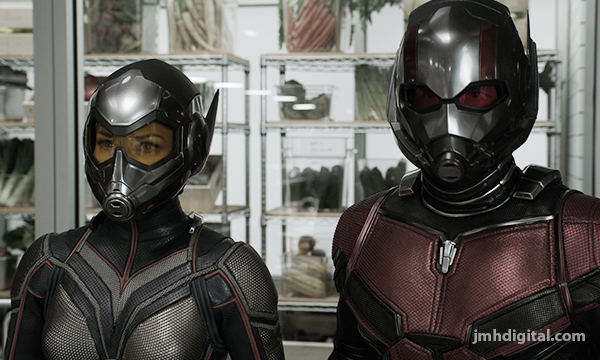 From The Incredibles 2 to Avengers: Infinity War and beyond, Disney has costumes for the whole family, even the family pet! LOVE, LOVE... LOVE this film... and if you don't you might be living in a pod, just waiting to be awoken. An elite squad from an anti-drug enforcement agency stages a massive drug bust in the slums of Manila in the action-packed thriller BUYBUST, hitting digital, Blu-ray™ Combo Pack and DVD October 16 from Well Go USA Entertainment. After the mission goes south, the squad must fight their way out of the slums with “a body count that’s so ever-spiraling it could make Quentin Tarantino quiver, and enough bone-crunching brawls to outstrip those of the no-holds-barred Indonesian actioner The Raid,” (Clarence Tsui, The Hollywood Reporter). 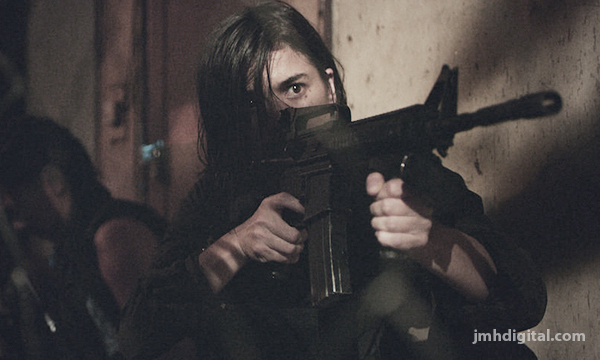 Directed by Erik Matti (On the Job), BUYBUST stars Anne Curtis, Brandon Vera, Victor Neri, Arjo Atayde, Levi Ignacio, Nonie Buencamino, Lao Rodriguez, Alex Calleja, Joross Gamboa, Sheenly Gener, Mara Lopez, AJ Muhlach, Tarek El Tayech, Maddie Martinez, Ricky Pascua, Nafa Hilario, Ian Ignacio and Mikey Alcaraz. Bonus materials includes a “Making of” featurette, footage from the BUYBUST panel at the 2018 Comic Con and an optional English language soundtrack.